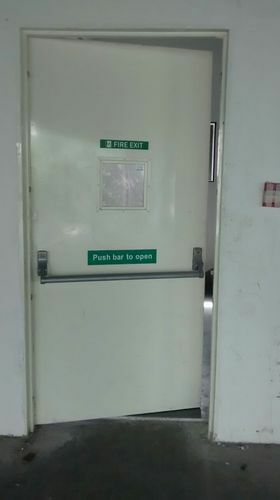 We are one of the eminent supplier, trader, distributor, wholesaler & service provider of Metal Fire Doors,Office furniture, Stainless Steel railings, Glass railings etc. These items are appreciated for their superior quality. We are one of the prominent manufacturers and suppliers of premium quality Office, Hospital & Hotel Furniture. Fabricated as per well defined standards, these are widely appreciated for their host of smart features such as durable finish standards, high tensile strength, corrosion/abrasion resistance and attractive designs. Clients can buy these solutions at market leading prices.